Earlier this year Nissan unveiled its plans to bully the Indian market with their Compact SUV. In the meantime we have been hearing about the news, images, scoops and spy shots of the car. Now is the time when the car would be fully unveiled officially on 20 August and the cars have already reached the customer showrooms. 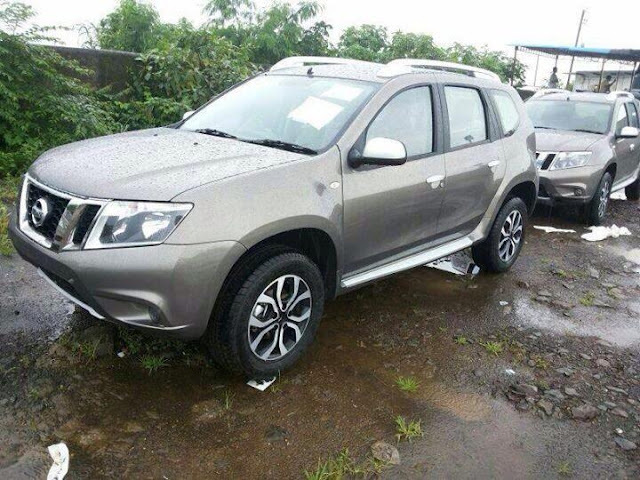 You could see the Images of Nissan's Terrano parked along with other Nissan's cars. Unlike the other sibling models like Sunny-Scala and Micra-Pulse, the new Terrano is thankfully different when compared to Renault's Duster. The changes are not just limited to headlamps and tail lamps but also include the sheet metal parts, grills, door and hoods. 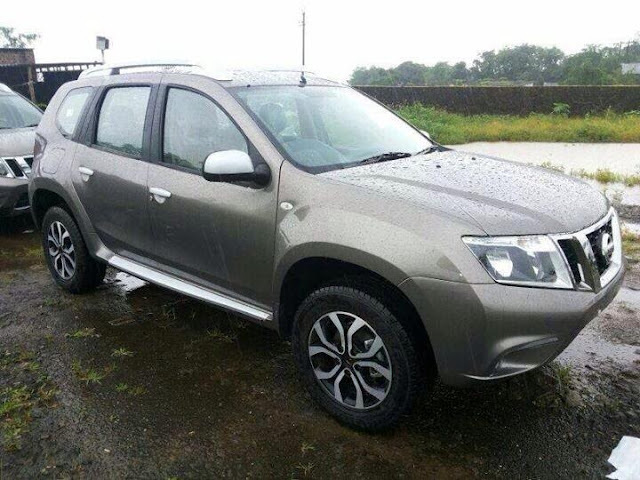 The front looks similar to Nissan's bigger SUV's and the rear resembles Chevrolet Orlando. The powertrain however remains the same - the reknowned 1.5L K9K diesel and 1.6L Petrol motor doing the duty successfully in all other Nissan and Renault cars. The car would be unveiled on 20th August and is scheduled for a launch officially in September or October. 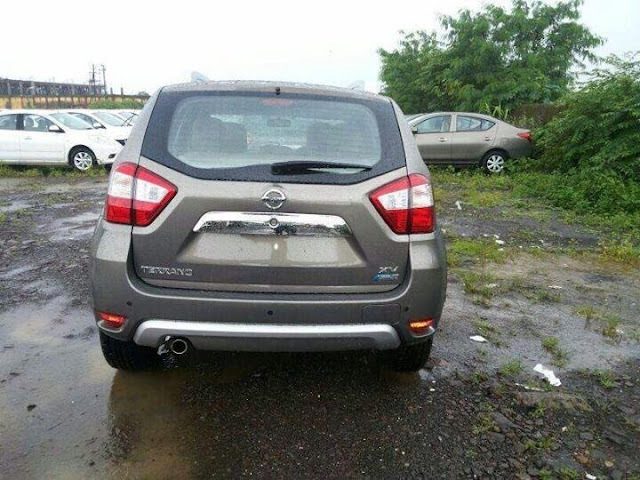 View complete details about Nissan's Terrano here.